Eastman Commons – Landsman Development Corp.
Eastman Commons is a vibrant community consisting of 80 one-bedroom apartments in a courtyard setting within the Dewey-Ridge neighborhood. Fifty-one of our housing units are set-aside for households participating in our supportive housing program. Rent includes heat, 24-hour emergency maintenance, off street parking and resident storage units. The building has secure access. A supportive services staff is available to assist residents as needed. Applicants must meet eligibility criteria, including being below the maximum allowable income which is dependent on unit size and type. All applicant household income must be below 60% of the Rochester area median income limit. 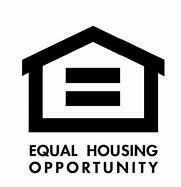 Households that participate in our supportive housing program must have income below the 50% of the Rochester area median income limit.